The 2018 Mercedes-Benz GLA performance offers drivers the kind of all-purpose capability they rarely find in a luxury crossover. This model has sporty dynamics and surprising fuel economy, but also provides more than enough power when necessary. 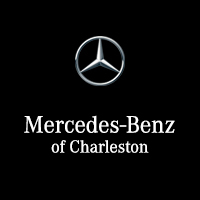 Explore our GLA inventory at Mercedes-Benz of Charleston today. The standard turbocharged 2.0L four-cylinder engine puts out 208 hp and 258 lb-ft of torque while getting up to 24 mpg city and 33 mpg highway. The engine is paired with a seven-speed dual-clutch automatic transmission with steering-wheel mounted paddle shifters, giving the driver greater control over the vehicle. The GLA is equipped with DYNAMIC SELECT, which lets you automatically adjust performance variables for a ride that is more comfortable, sporty, or efficient. Part of why the GLA gets such outstanding fuel-economy ratings is thanks to the ECO-START®/Stop function that turns off the engine when the vehicle is in idle and then seamlessly restarts it when the accelerator is engaged. Learn how the GLA compares to the Audi Q3, as well as compare the Mercedes-Benz GLA vs. GLC or Mercedes-Benz GLA vs. BMW X1.